Publication: Brittonia. 36: 11, figs. 1C, D, 2A–C, F. 1984. Notes: Rare, and recently described (Sheviak 1984). FNA notes it is an amphiploid hybrid derived from S. romanzoffiana and S. magnicamporum Sheviak, a species of central North America. » Sheviak, C. J. 1984. 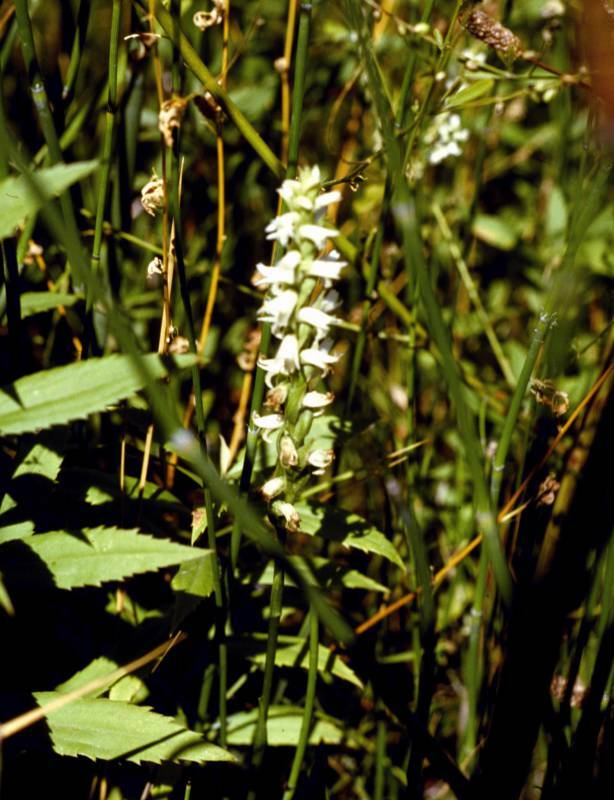 Spiranthes diluvialis (Orchidaceae), a new species from the western United States. Brittonia 36: 8-14.